I've been meaning to draw this for ages! 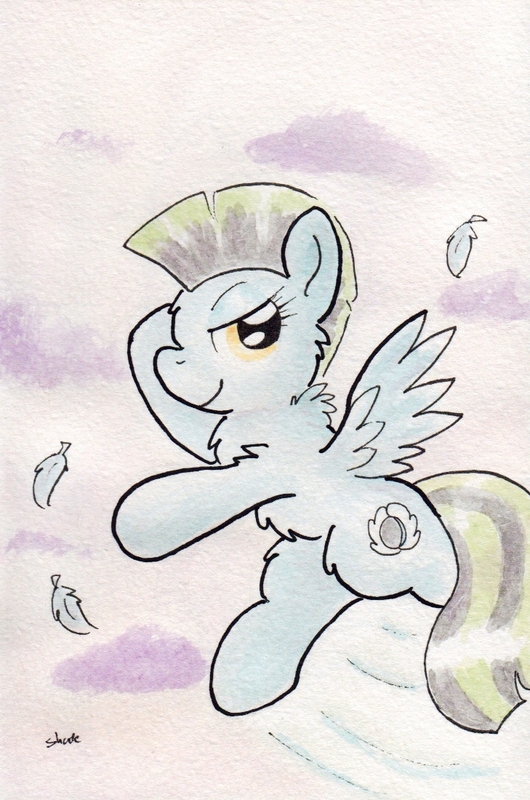 It's a portrait for a friend - it's her character Crescent Swoop. Aaaah I can't get over this, she looks so awesome! I will have to draw you more Dashies and Scoots for this. Or actually... WELL JUST MORE PONIES. Oh, you're here too! Surprise attack!